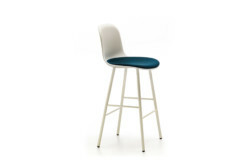 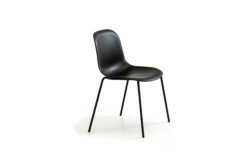 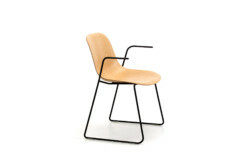 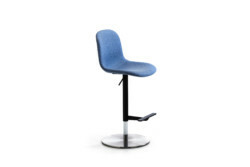 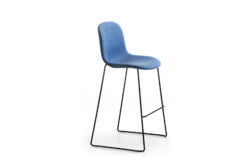 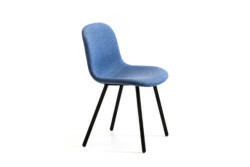 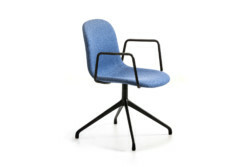 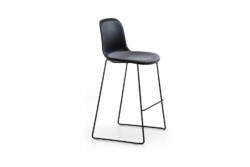 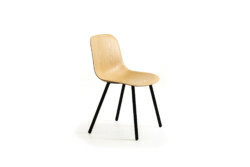 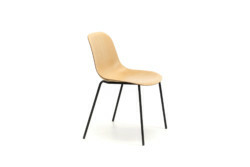 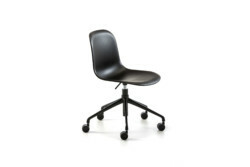 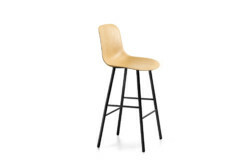 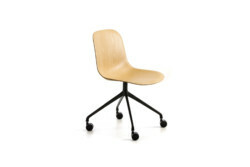 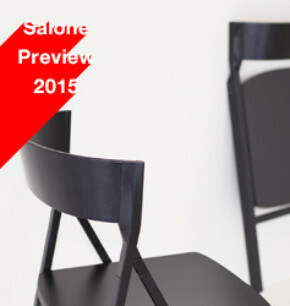 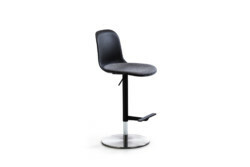 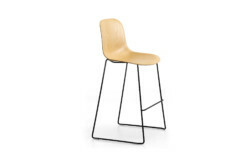 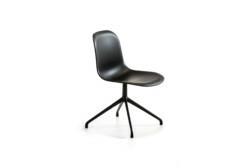 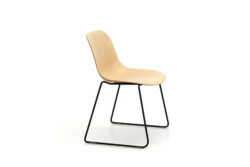 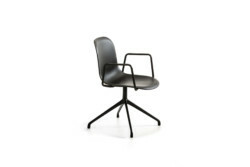 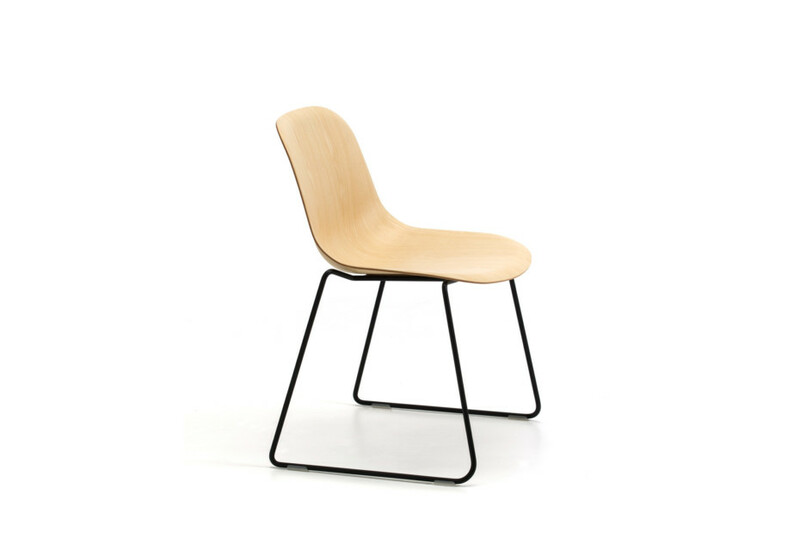 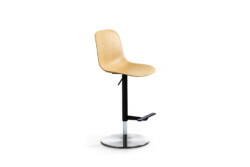 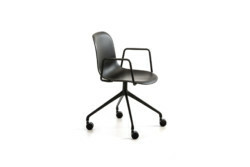 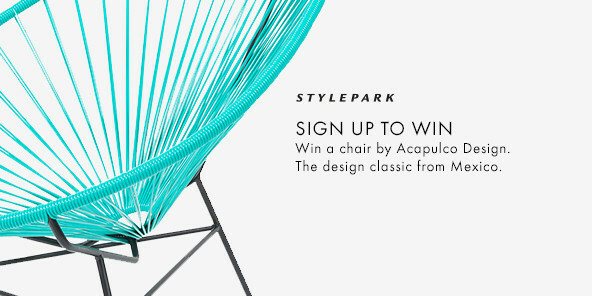 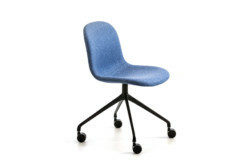 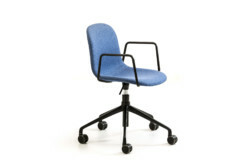 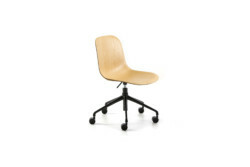 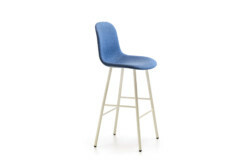 Stackable chair with chromed or painted rod steel frame for indoor use. 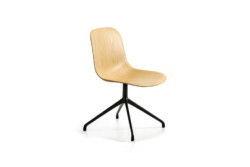 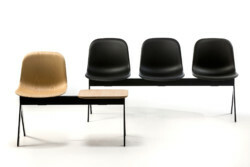 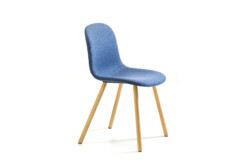 The ashwood Máni shell, made with 3d pressing technique, can be refined with fixed cushion or countershell upholstered with certified coverings for contract market. 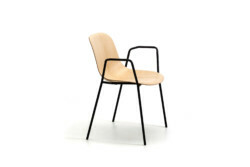 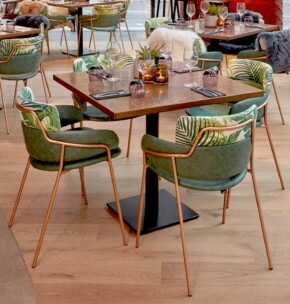 In addition to wools, trevira, velvet, faux leather and genuine leather proposed by Arrmet, it is possible to upholster Máni Wood accessories with fabrics or leathers supplied directly by the customer. Máni Wood SL can be provided with linking device systems and handling trolleys for community use.